Welcome to the October 2014 edition of Righting Crime Fiction. This month I’ll pick up where I left off last month and continue discussing handguns—more particularly, semi-automatic pistols. 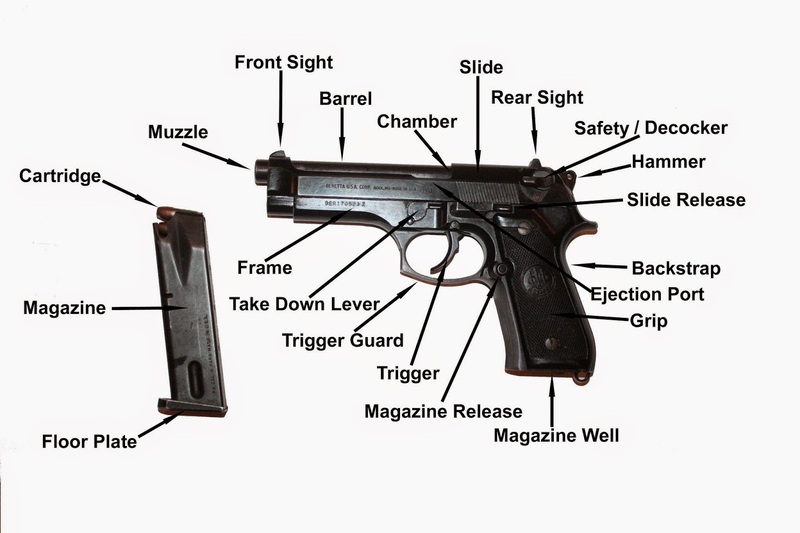 Quite simply, and without getting technical, a semi-automatic pistol is a handgun with a single barrel and chamber that uses the energy from the previously-fired bullet to load a fresh bullet into the chamber. The amount of times it can reload itself depends on the capacity of the magazine. If the magazine holds fifteen bullets, you would be able to pull the trigger fifteen times before having to replace the magazine. 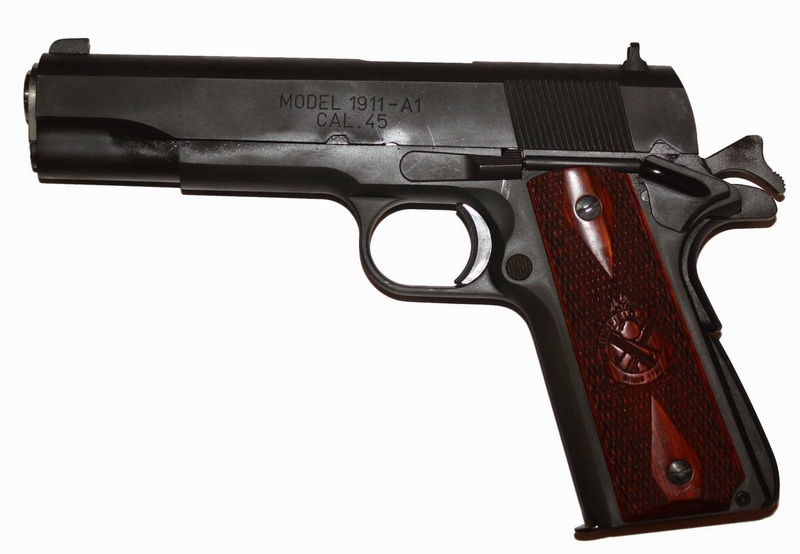 Just like there are single-action revolvers and double-action revolvers, there are also single-action semi-autos (Colt Model 1911-A1) and double-action semi-autos (Beretta 92FS). Like revolvers, many double-action semi-autos can be fired single-action and double-action, but single-action semi-autos can only be fired single-action. Most double-action semi-autos are double-action for the first shot, but then they revert to single-action afterward, because the hammer automatically remains in the cocked position after the first shot, unless it is “decocked” by manipulating the safety or “decocker”. 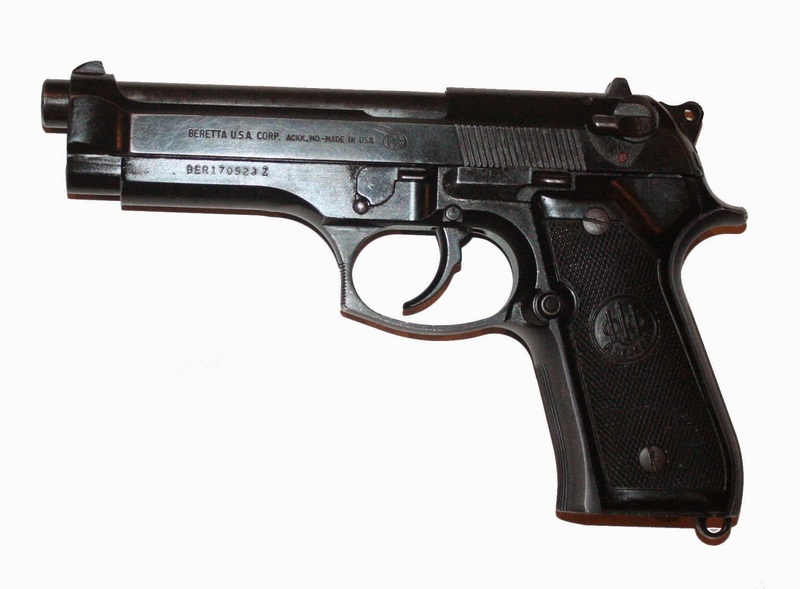 There are hammerless pistols that possess internal hammers or internal firing mechanisms. The Glock 22 is an example of a hammerless pistol. While we’re talking about the popular Glock, it’s important to note that they possess safety mechanisms such as the trigger safety, firing pin safety, and drop safety, but they do not possess a manual safety. Thus, it’s important that you not have your heroine “flip the safety” on her trusty Glock. The “casing” houses the other parts of the bullet. The “head” end of the casing is closed, with the exception of a tiny flash hole, and the “mouth” end, which is where the projectile is seated, is open. The “primer” is an impact-sensitive cap seated in the face of the casing that’s used to ignite the powder. The “powder” is a fast burning compound that’s used to propel the projectile forward. The “projectile” is the business end of the bullet—the part that kills. Most projectiles are made from lead and are covered in part—or in full—by a metal “jacket”. Quite simply, when you pull the trigger on a firearm this is what happens to the bullet: the firing pin strikes the primer, which creates a spark that shoots through the flash hole, which ignites the gunpowder within the casing, which causes a small explosion and generates lots of energy, which propels the projectile down the barrel at a high rate of speed. 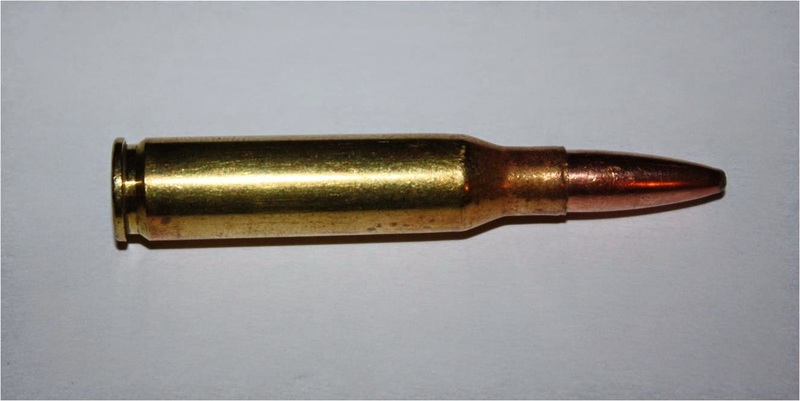 Terminology Note: A bullet that has not been fired is commonly referred to as a “live round”, while the casing from a fired bullet is referred to as a “spent” casing. Some folks call a live round a “cartridge” and a projectile a “bullet”. For the sake of consistency, I try to always use “bullet” or “live round” and I call the killing part of the bullet a “projectile”. I do this in my police reports and in my fiction. Either way is acceptable, as long as you remain consistent in order to avoid confusion. So, the energy from the fired bullet is what operates the semi-automatic pistol. 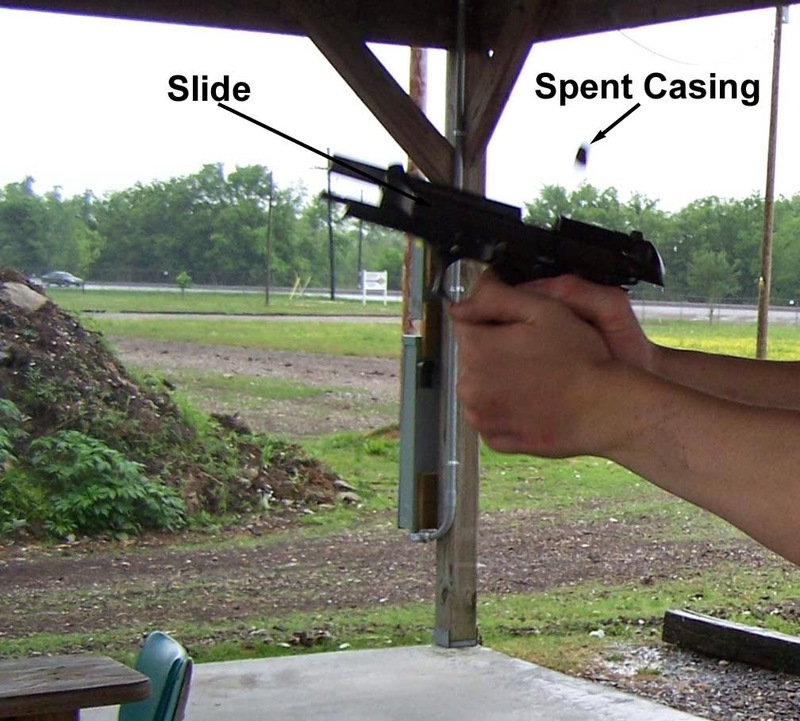 Without getting technical, this is what happens to the semi-automatic pistol when it’s fired: 1) the counter-energy from the fired bullet forces the slide rearward, 2) the slide grabs the spent casing on its way rearward and ejects it (throws it away from the pistol), 3) an internal “recoil spring” forces the slide forward, 4) on its way forward, the slide strips a live bullet from the magazine and pushes it into the chamber, and 5) the sequence is repeated until the magazine is empty, at which time the slide locks to the rear. Notice the spent shell casing in mid-air as it is ejected from the chamber. Semi-automatic firearms spit out these casings like you would spit out the shells of a sunflower seed—except much faster. Also notice how the pistol is positioned at a slightly upward angle. This is from the recoil. To understand how instant the slide returned to its forward position and the shooter (my son, Brandon) got his sights back on target, notice the car in the background and to the left of the pistol in both photographs. The speed limit for that highway is 65 miles per hour and the car traveled approximately two short car lengths in the amount of time it took the slide to move forward and Brandon to get the front sight back on target. As the slide moves forward, it strips a live round from the magazine and pushes it into the chamber, readying the pistol for another shot. Again, once you’ve fired the last round, the slide will lock to the rear, indicating it’s time to feed the pistol another magazine, or “clip”. Since your heroine may need to load or unload her semi-automatic pistol someday, it’s important that you know how to perform these tasks, as well. If you’ve never done this, viewing a video of it might help. I’ve created a video of me loading my Glock 22 and another of me unloading it and will post them here, along with written instructions. Note: The demonstrations will be for right-handed folks. It’s similar for left-handed folks, but with slight variations. Contact me for more information. 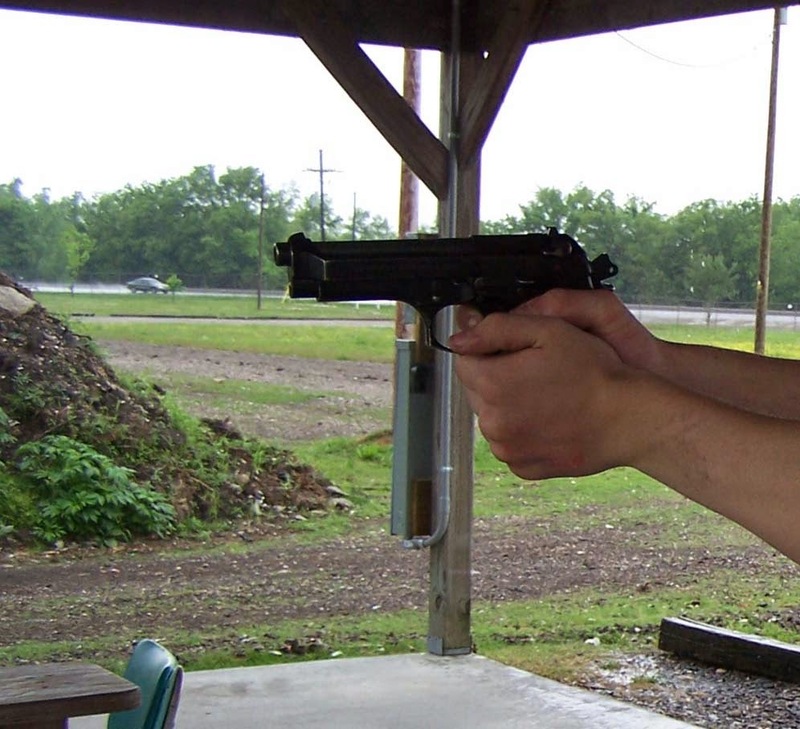 Step One: Holding the pistol in your right hand, ensure that the muzzle is pointed in a safe direction. Step Two: With your left hand, insert a fully loaded magazine into the magazine well until it locks. It’s a good idea to give the magazine a little tug to ensure it’s seated properly. Step Three: With your left hand, retract the slide fully to the rear and release it. 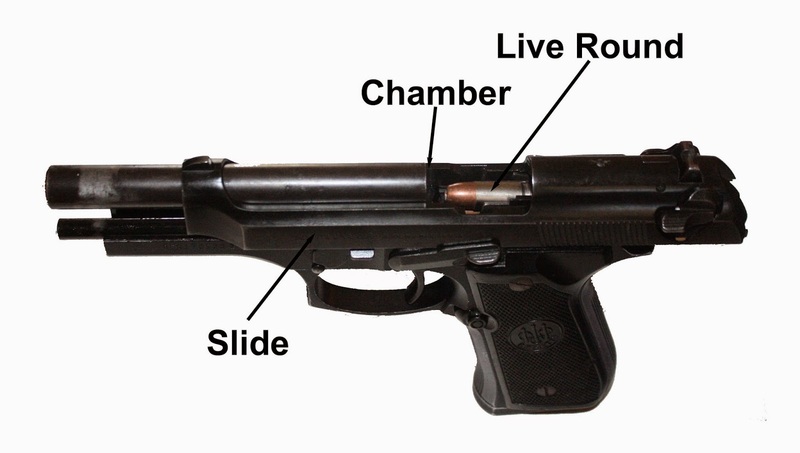 Once you release the slide, it will spring forward and strip a live bullet from the top of the magazine and push it into the chamber, loading the pistol. If you had a fifteen-round magazine, there would now be fourteen rounds in the magazine and one in the chamber of the pistol. If you want to “top off” the magazine—meaning you want to replace the live round that was stripped from the magazine, in order to allow yourself the maximum number of bullets at your disposal—you would move on to Step Four. Step Four:With your right thumb, press the magazine release button and remove the magazine with your left hand. Place your pistol someplace where it’s secure, such as a holster, and then “top off” the magazine by loading another bullet into it. Step Five: With your left hand, reinsert the magazine into the magazine well until it locks into position and give it a tug to ensure it is seated properly. You now have sixteen bullets at your disposal. Bear in mind, if your hero were in a shootout, he would not have time to top off his magazine. He would have to reload his pistol quickly and get back into the gunfight. Step One: Holding the pistol in your right hand, ensure the muzzle is pointed in a safe direction. Step Two: With your right thumb, press the magazine release button and allow the magazine to fall to the ground. This part is very important! Picking up—or catching—an empty magazine during a gunfight could prove deadly. Since folks resort to their training under pressure, it’s important not to develop any bad habits during training. Thus, always have you heroine allow her empty magazines to fall to the ground during training. Step Three: With your left hand, retract the slide fully to the rear and lock it in the “open” position by pushing the “slide release button” upward with your right thumb. Step Four: Visually inspect the chamber and magazine well to ensure they are clear of live rounds. Well, that wraps up Righting Crime Fiction for October. I plan to discuss the type of evidence firearms leave behind at crime scenes and how they can be linked to suspects in the November installment.